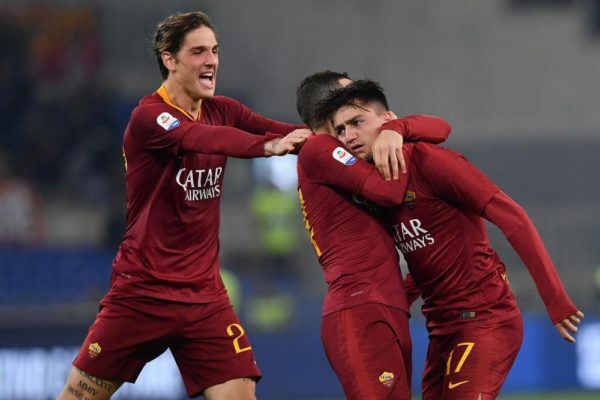 Serie A giants AS Roma are currently preparing fresh deals for Italian wonderboy Nicolo Zaniolo, Turkish ace Cengiz Under, deadly Bosnian striker Edin Dzeko and veteran Italy international midfielder Daniele de Rossi, football news website Calciomercato.com exclusively understand. Out of all of the Giallorosi stars this season, it is Nicolo who has impressed the most. And its no surprise to see AS Roma’s league rivals Juventus identifying him as a summer transfer target and be ready to shell out €50 million on him. As well as Premier League side Arsenal are also pursuing a potential deal to sign Italian sensation but must fight for his services. Calciomercato’s AS Roma correspondent Francesco Balzani understands that the Italians are preparing to tie Nicolo down to a new contract till the summer of 2024 and the attacking midfielder will earn €1.5 million a campaign. Not just that, but AS Roma also have ready a new deal for Cengiz Under, who has drawn interest from Bayern Munich, Arsenal and Tottenham Hotspur. AS Roma are ready to triple the Turk’s salary. Bosnian star Edin Dzeko is another one who will be offered a fresh contract. The Giallorossi don’t want to lose the key man for free, as his deal runs out in June of 2020. As for Daniele, it will be his last new deal before he retires and club’s teenager Alessio Riccardi too will pen a professional contract. Apart from that, AS Roma will look to remove the exit (release/buy-out) clauses from the contracts of creative midfielder Lorenzo Pellegrini and powerful Greek central defender Kostas Manolas, who have been on Manchester United’s radar for some time now.